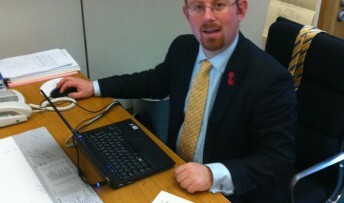 MP Julian Huppert has paid tribute to the 60,000 plus carers across Cambridgeshire and those nationally in the House of Commons as the country celebrates National Carers’ Week. He was praised by Prime Minister, David Cameron who told him that his tribute was spoken not only for the House but also for the whole country because Britain’s carers do an “amazing job”. Julian said later: “We owe such a debt of gratitude to the men and women and of course children who care for elderly and disabled relatives, friends and neighbours often while holding down jobs outside the home or keeping up with school work. Helen Clarke, Carers Week Manager said: “It was absolutely fantastic to hear Julian raise in the House the importance of the work done by the UK’s 6.5 million carers and to have his support for the Prepared to Care campaign.